Just before the elections of 2004, Chris Berglund had a dream in which President Ronald Reagan warned President George W. Bush not to make the same mistakes that he had made. We understood the dream to be directing us to intercede that this pro-life President would not nominate judges to the Supreme Court that would perpetuate a legacy of death instead of life. With President Trump now in office, our responsibility still stands. In the following Briefing, Matt Lockett of Bound4Life and the Justice House of Prayer DC joins Lou Engle in issuing a critical “Esther call” to a three-day fast for the current situation concerning the court. Once again, we find ourselves in a life-or-death moment of decision concerning the U.S. Supreme Court and the potential to overturn the 1973 decree of death known as Roe v. Wade. We are urging everyone who cares about the future of America to join us in a three-day Esther fast, August 18-21. In 2004, Bound4LIFE began with the simple prayer, “Jesus, I plead your blood over my sins and the sins of my nation. God, end abortion and send revival to America.” It is a powerful prayer that has continued to this day, and we believe that the answers of these two epic cries could now come in the same timeframe—the ending of the scourge of abortion and the beginning of another Great Awakening. To miss either one would be catastrophic for the future of our nation. Through the years, the story of Esther has been a dominating prophetic theme for our prayer movement, understanding that Roe v. Wade is not unlike Haman’s evil edict that threatened the genocide of Esther’s people. She rose up “for such a time as this,” risking everything to overturn Haman’s death decree. Esther’s story is timeless in the sense that we periodically find ourselves in similar moments that demand intensified prayer and fasting for the sake of shifting wicked circumstances. It is our conviction that America is in another Esther moment. With the current vacancy on the Supreme Court now in focus, we are calling the body of Christ to understand the full weight of the situation we are facing. We cannot afford to have a new Justice seated on the court who would ultimately rule to uphold Roe v. Wade. Proverbs 14:12 teaches, “There is a way that seems right to a man, but its end is the way to death.” So much is at stake. We must rely on clarity from heaven rather than simply do what we think is right. When Justice Kennedy announced his retirement from the court on June 27, we remembered how often we had prayed throughout the years for his reformation or resignation, in spite of the fact that a pro-life President appointed him. This is because, in 1992, he infamously switched his vote at the last minute and decided to uphold abortion in the pivotal case Planned Parenthood v. Casey. That decision strengthened Roe v. Wadeand allowed the abortion total to now soar to more than 60 million lives lost. Judge Brett Kavanaugh has now been nominated to replace Justice Kennedy. 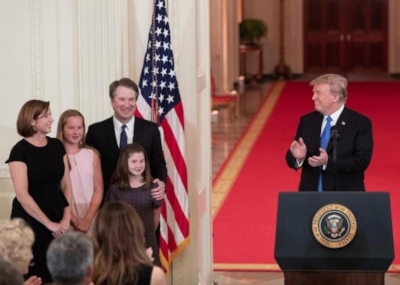 Many are rejoicing that President Trump has chosen Kavanaugh, however we—along with many concerned intercessors—do not yet sense a resounding “YES” over this choice. He may very well be the man for the job, but then he may not be the right one. We believe the body of Christ must leave nothing to chance in a moment like this. In March 2017, Lou Engle dreamed of a movement in which women gathered from all around to hear a woman teach the book of Esther. In the dream, she pointed to the text and said, “These two words mean Nazgul.” You may recall from the movie series The Lord of the Rings, the Nazgul witch king was destroying the armies of men, and he boasted, “No man can kill me!” It was the maiden of Rohan who confronted the Nazgul on the battlefield. She pulled off her helmet and declared, “I am no man,” as she pierced him through with her sword. Waking from that dream, Lou understood there are certain spirits of witchcraft and death that can only be broken by women, and he knew that “Esthers” must arise to challenge legalized bloodshed that fuels witchcraft over the whole nation. Around that time, witches worldwide rose up to curse the President of the United States. In response, we called a three-day Esther fast, which quickly spread around the world. We believe that fast strategically broke something in the spiritual realm that was necessary at that time. Later in the year, women were called to the Rise Up gathering in Washington, DC, and more than 30,000 women rallied on the National Mall to represent a corporate Esther. They made their appeal to the High Court of Heaven to overrule the Supreme Court of earth. That challenge continues today as we enter into a new season of seeing the U.S. Supreme Court shift. 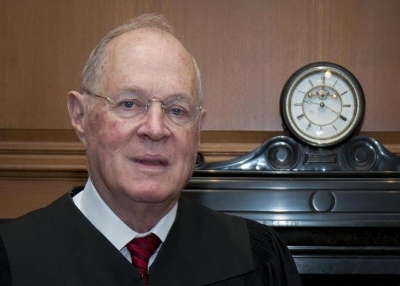 Immediately following Justice Kennedy’s retirement announcement, something quite revealing began to take place—something you won’t hear about in the news. Sources revealed that witches began making phone calls to Senators' offices to curse them with brazen witchcraft in an effort to exert a demonic influence over the process. Make no mistake—this is a spiritual battle of the highest order. Therefore, we are calling ALL BELIEVERS—mothers, fathers, sons, and daughters—to fast like Esther, Mordecai, and their people did in the time of crisis. While we do not yet have clarity of revelation concerning the nomination of Judge Kavanaugh, the scriptures charge us to bind (or disallow) and loose (allow) on earth in cooperation with heaven (Matthew 16:18-19; 18:18). We are calling a three-day Esther fast to stand in the gap on behalf of the nation and disallow anyone from being confirmed to the Supreme Court who will not ultimately reverse Roe v. Wade. We declare, “LIFE,” over this empty seat and reserve it for God’s choice. We urge you to join us—along with thousands of believers—beginning the evening ofAugust 18 for a three-day Esther fast of no food and no water. We believe the seriousness of the situation is that desperate. Please be careful and wise! If you are not able to do a total fast, then consider doing a partial fast or liquid fast. If you read this and your heart burns to see breakthrough, then help us mobilize the fast far and wide. It’s time to rise up again!